The Great Wall of China is one of the marvels of the world. Like the Great Pyramids in Egypt, the great structure holds many wonders as to its construction and purpose. As with any structure of this type, people are curious as to its origins and over the decades many myths and legends take hold and increase its mystery. 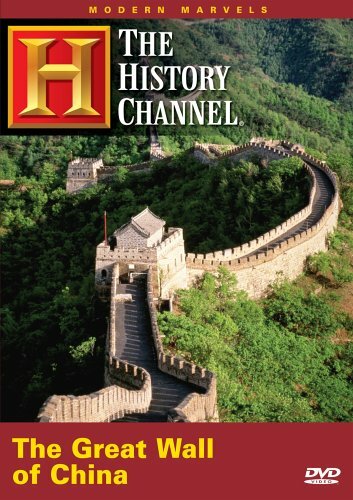 The wall was built throughout the early history of China, starting with the Qin dynasty in 259-210 B.C. when Emperor Qin Shi Huang conceived the idea to protect China from foreign invaders. The dynasties of Han (206 B.C.-A.D. 220), Sui (A.D. 581-618), Jin (115-1234) added to the Qin’s wall. The Ming Dynasty (1368-1644 A.D.) was the last one to continue work on the barricade and it is this period from which most of the remaining wall predominates. With all great feats come myths and legends. Here are the top ten myths and legends regarding the Mighty Structure of China. Coming in at number ten is the myth the concept of one giant wall and the name came directly from Chinese tradition. Historian Arthur Walden established this is not true. The name of the barrier instead came from European sources who idealized it. According to Walden, it rarely appeared in Chinese art before the twentieth century. Number nine is the myth the Wall was able to keep all invaders from entering China. The fact is, Genghis Khan was able to travel around the barricade through unbuilt sections and not only invade China, but control it and parts of Asia and Europe during the Yuan (Mongol) Dynasty (1206-1368). The barrier was not important to the Mongols as a military resource; however, soldiers did use it to protect merchants traveling along trade routes. Number eight is the myth the Great Wall is one of the Seven Wonders of the World. In part this is true. It is not considered one of the Seven Wonders of the Ancient World, but it is usually included in the Seven Wonders of the Medieval World. In 1987, The United Nations Educational, Scientific and Cultural Organization (UNESCO) listed it as a national and historic site. Coming in at number seven is the legend the Wall’s course was traced out by a dragon and the tracks were followed by the builders. There is of course no proof of this. The structure was built in sections to protect specific states in China, so though it is an interesting tale, it is highly unlikely to be true. However, China reveres the dragon as a protective divinity. It symbolizes springtime and energy and in Chinese tradition, the dragon formed the mountains and the shape of the land. Thus, the wall is often compared to a dragon. Rounding out the first five is the legend of Meng Jiang Nu. According to the tale, she was the wife of a farmer who was forced to work on the building of the barricade during the Qin Dynasty. After hearing of her husband’s death while working on the structure, she cried until the wall collapsed and when it did so, it revealed his bones so she could bury them. This legend continues to be told through the generations and no one has disputed it to date. Counting down to number one, the number five myth is slaves were used to build the structure. In a sense this is partly true. The manpower to build the barrier was comprised of frontier guards, disgraced noblemen, the unemployed, farmers and convicts. Many of the workers were not given a choice and therefore could be considered slaves, though in the truest definition of the word, they were not “owned.” During the Qin and Han Dynasties, a special penalty existed to sentence convicts to work on the structure. Credit: photo courtesy of Sam Hakes, Source: morgueFileMany believe the great barricade in China is one long continuous barricade built all at once. Actually, the structure is comprised of a network of segments built by the various dynasties over hundreds of years. Originally, the barrier was designed to protect the northern borders of China. Each dynasty after the Qin added to the barricade, but it is this break in continuity which allowed Genghis Khan to simply travel around the mighty structure to conquer the Chinese. The total length of the wall measures almost four thousand miles (6,200 km), but this includes side branches not contributing to the west –to-east length. If natural barriers such as mountains and rivers are included, the wall is estimated at 5,500 miles (8,850 km). Credit: photo courtesy of Violet Winters, Source: morgueFileComing in at number three on the list is the myth the Wall is made entirely of bricks. This is not true. When work began on the structure in the Qin Dynasty, the materials used were rammed earth, adobe and stone. It was only after the Ming Dynasty bricks were used. Approximately 70% of the Wall is made from the earlier materials. The Chinese invented the wheelbarrow to help bring the materials to the workers to use for the structure. Closing in on the number one myth about the massive barricade, the number two spot is the myth the mortar used in the structure was made from human bones and workers who died during the building of it are buried in the Wall to make it stronger. The actual mortar used for the barricade was made from rice flour and no human or any other type of bones have ever been found in any of the sections of the Great Wall. The Great Wall of China is still an awe inspiring structure even if the myths and legends are dispelled. The might structure is located in Northern China from the From Shanhai Pass (39.96N, 119.80E) to Jiayu Pass (39.85N, 97.54E). The most popular stretches of the Wall are the sections near Beijing at Badaling. Millions of tourists visit there each year and China has embraced the structure as its biggest and most popular tourist attraction. The copyright of the article Myths and Legends of the Great Wall of China is owned by Cheryl Weldon and permission to republish in print or online must be granted by the author in writing. As a history buff, I loved this artcile--well done, interesting and informative--2 big thumbs from me. Thanks, I learned some things researching this. I like learning new stuff and this was quite interesting. The video was awesome (the one where the guy goes "off the track" and explores a section of the wall that isn't packed with tourists.) I particularly was surprised to learn the wall can't be seen from space--I've always believed it could be. Great post, learned a lot ab this man made miracle... just hope I will manage one day to visit it as well! Thank you for your kind words. I too would like to see this up close and personal. When I went I was just expecting a overhyped tourist spot...it's only a little touristy and was actually a life highlite for me. I took my mum along and we climbed and climbed together... It was bitterly cold and absolutely awe inspiring and breath taking. Love the myth about the mortar made of human bones :-) How people perceive Chinese people fascinates me. Thank you for the comment. It must have been a wonderful experience for you. Thanks so much for the kind words and the read. I've never been to see the Wall, but I am fascinated by its history. It was a fun article to write. I put a backlink from my piece (Epic Fail: The Great Wall of China) to this piece. I thought you did a great job here. Thanks a bunch Vic. Kudos are always nice to hear. I am remiss in telling you I linked your article as well. Informative article and interesting facts about the great wall. Thanks for the kind words and the read.